Bicycles were first driven by direct drive cranks, but a new paradigm in bicycle drive systems was needed, in the late 19th century. This need coincided with the arrival in England of a young Swiss man, Hans Renold. Working around machinery, he soon invented the roller bush chain, in 1880. This was just the power transmission device needed to power a rear drive bicycle, and was incorporated into the Starley safety bicycle. 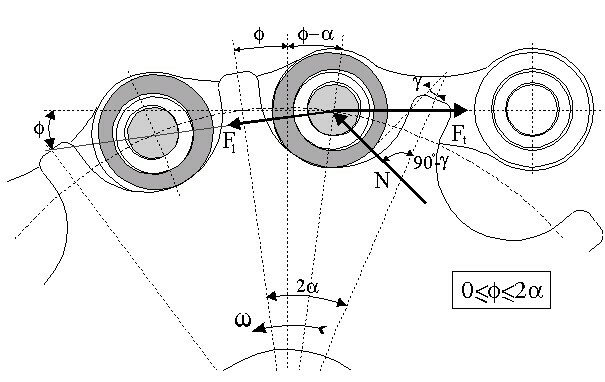 This method of power transmisstion is an incredible 98% efficient, and is virtually unchanged in today's bicycles, even though the rest of the bike has been almost completely redesigned. Matt D. Kidd and R.L. 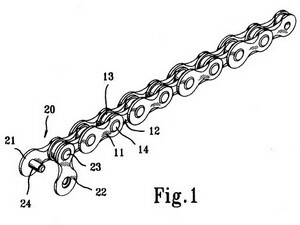 Rueben, of Hariot-Watt Univ., Edinburgh UK, have written a great paper on the efficiency of the roller chain. The Renold Company is still in business making chains and bearings for industrial use. I'm looking for some .25" pitch roller chain in which the roller really rolls. All of the .25" 'roller chain' I've found does not have a roller that really rolls.